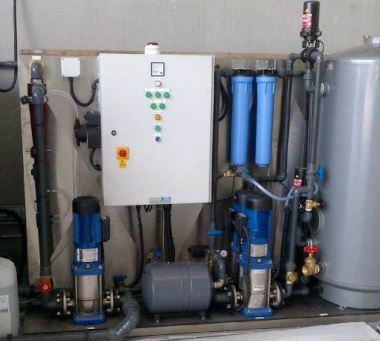 Water recycling equipment are part of an expanding market due to the savings water recycling can offer in the present climate of water privatisation, stricter effluent discharge consents, and rising effluent charges. The drought of 1989 serves to remind us of the importance of water recycling as vehicle wash operators were driven to a standstill due to water authorities banning the use of water for the washing of vehicles. Emphasis has been placed on a more compact design, with lower running costs and lower capital costs, to make water recycling equipment even more cost-effective and sustainable to the customer. Morclean Aqua will work with a moving gantry or a conveyor wash using hot and cold wax, shampoo and rinse aid. Morclean Aqua is manufactured in grade 304 stainless steel and, for external siting, is available with a weather proof canope with heaters for frost. The Morclean Hydra model required is dicated by the water usage of the wash machine in gallons (or litres) per minute. A rollover wash machine using a total of 32 gallons per minute would need a Hydra 35 to match this usage. unit of either open construction, or they can be supplied fully enclosed with doors. Fabricated in stainless steel grade 304D, frost protection is available. Astra is designed to operate with commercial or forecourt brush machines using hot and cold waxes, shampoos and rinses. Note: Chemicals must be approved prior for compatibility. The treatment plant consists of split stainless steel tanks mounted with a common base plate. The plant utilises activated carbon filtration with option of spotless rinse and electro flocculation, and multi-cyclone solids separation. 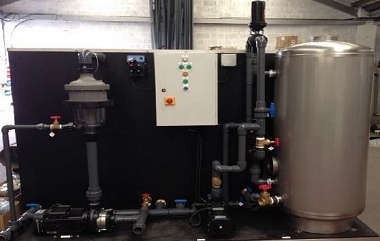 The Compact water recycling system is fabricated in stainless steel grade 304D. The Compact is also available in a fully enclosed version with security and frost protection. and an internal GAC filter/absorption bed. All controls are rated to IP55 and the system can be fully enclosed if required. The Morclean Prime is suitable for all jet and pressure wash systems. 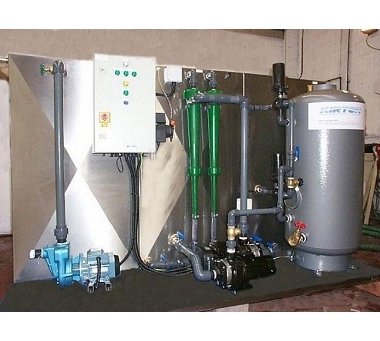 The system consists of pre-filters, an internal GAC filter/absorption bed, sand filter, storage tank, water rinse and booster pump. The system can be fully enclosed if required and all controls are rated to IP55. polyethylene or stainless steel grade 304D. The Government’s Water Technology List (WTL) promotes products that encourage sustainable water use and rewards businesses for investing in them through the Enhanced Capital Allowance (ECA) scheme. The ECA allows a business to offset the cost of purchasing eligible plant and machinery against its taxable profits. The plant utilises either hydro cyclone solids separation, electro-flocculation, activated carbon filtration or spotless rinse. Fabrication is in stainless steel grade 304D and is available fully enclosed with frost protection. Finally water is filtered through activated carbon to remove residual organics such as shampoo etc prior to recycle as rinse water, and pumped back into the system for use.